"El Hilo (Spanish for 'The Thread') is the best take on the classic gypsy thread we've ever seen. Taking the age old effect and adding a handling so clean, it fooled us 6 times in a row. Everything happens in the spectators hands, they tear the thread, roll it into a ball, and then slowly they restore the thread back to its original form. Magic this clean should be criminal! But here’s the kicker… Once again the thread is rolled into a ball, only to disintegrate into nothing but dust. 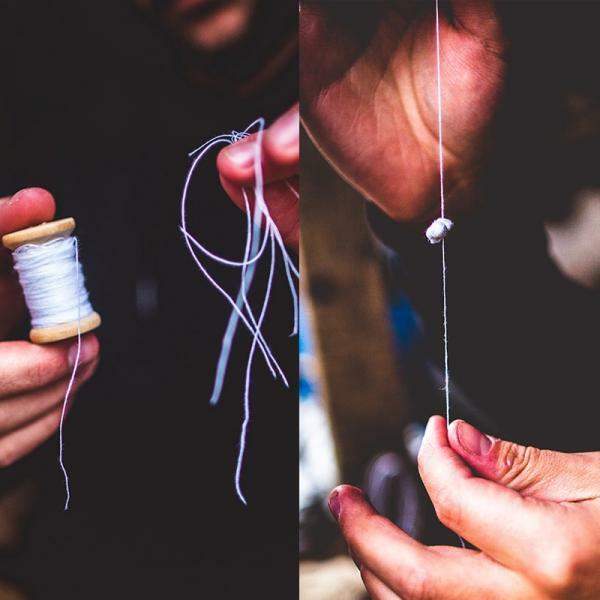 El Hilo comes with everything you need to get started, with 2 hand spun spools of specialty thread, crucial to a smooth, mind blowing performance + magic dust refills for a kicker ending that nobody can see coming. FISM Winner and Penn & Teller fooler Javi Benitez, will take you through an in-depth tutorial in his signature Spanish style, ensuring you have the guidance needed to pull off the smoothest gypsy thread routine the world has ever seen."